Buildings are a bit like books — you love one book by an author and you want to check out the entire oeuvre. When it comes to architects, the authors of historic buildings, it’s impossible for a preservation organization to pick favorites — there are too many who produced work that has stood the test of time. 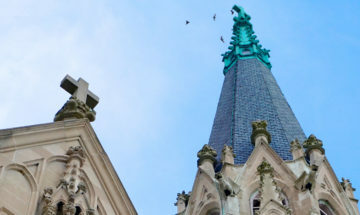 Indiana’s historic building stock includes examples designed by such world-renown architects as Louis Sullivan, Frank Lloyd Wright, Eero Saarinen, Philip Johnson, Richard Meier, and Michael Graves, just to name a few. So we’re highlighting just a few architects among our many favorites who left indelible marks in the form of landmarks. Nearly everyone recognizes the name and work of Frank Lloyd Wright, but too few know his son John Lloyd Wright—architect and inventor of Lincoln Logs. John Lloyd Wright’s tempestuous relationship with his famous father motivated him to move in 1923 from Oak Park, Illinois, to Long Beach, Indiana, where opened his first private practice. He put his stamp on the resort community near Lake Michigan before leaving for California in 1946. Inspired by a trip to Europe in 1929, Wright brought a modern perspective to northwest Indiana in his designs in the ‘30s, beginning with Long Beach Town Hall in 1931, believed to be the region’s first International-style building. Once on our 10 Most Endangered list, the town hall survived through a compatibly designed addition. It is one of Wright’s few extant public buildings in the area. Many of his residential commissions for country club acquaintances survive. Wright integrated houses into the dunescape with such nicknames as “House of Tile,” “Pagoda House,” “Shangri-La,” and “Early Bird.” An appreciation for good design and natural materials, and the Wright connection, drew northern Illinois residents Sharon and Larry Porter and other family members to his “House of Tile” in 2001. 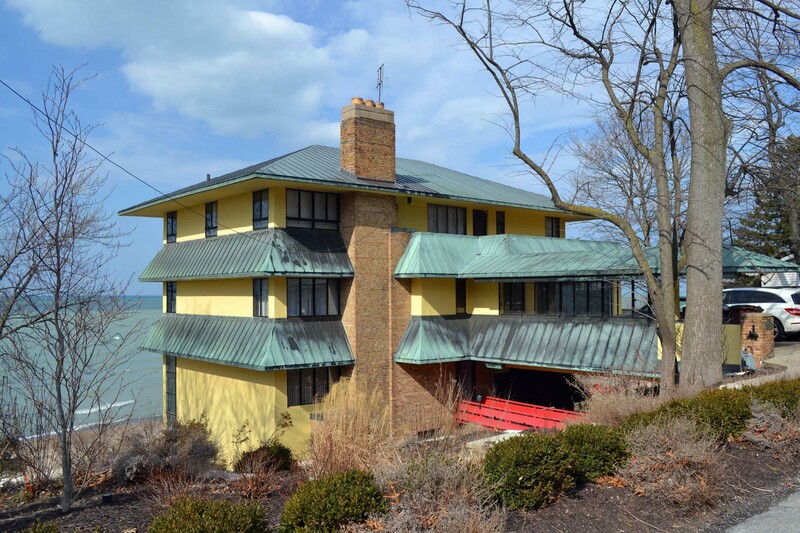 James and Sandra Napolitan share a similar love for John Lloyd Wright’s “Pagoda House” in Long Beach, which they purchased in 1994 and visit as often as possible from their residence in Chicago. Constructed in 1934, the five-story house illustrates Wright’s willingness to experiment with materials, incorporating Stran-Steel (a sort of metal lumber) a copper roof, and wraparound eaves that gave rise to the nickname. The design blended with the setting, allowing water from the nearby lake to flow under the first floor, and including brick walls to help fight erosion of the dune. In a letter to his father, Wright dubbed the house “the first bit of real architecture I have ever done,” and considered the property a favorite, an opinion his architect daughter Elizabeth Wright Ingraham confirmed to the Napolitans when she visited the home a few years ago. The couple loves the lake views from the two-story floor-to-ceiling windows in the great room. 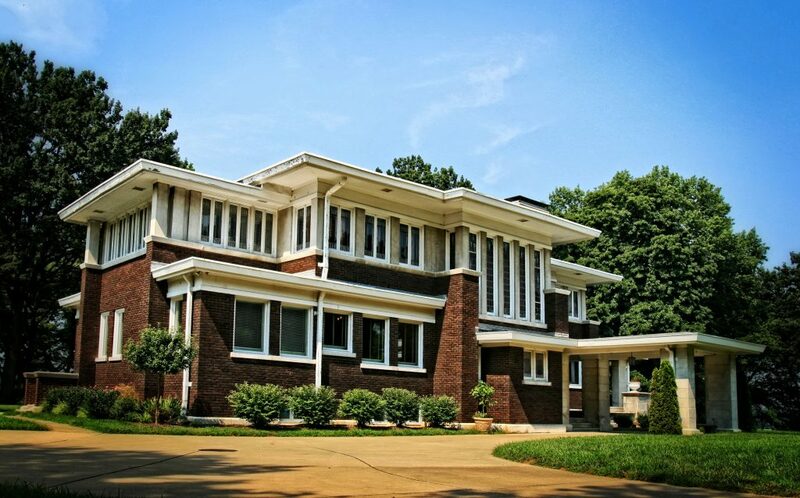 The Partners in Preservation National Register program hired preservation consultant Kurt Garner to nominate John Lloyd Wright-designed properties in northwest Indiana, an effort that paved the way for the four Wright-designed homes in Long Beach to achieve listing with owner approval. “We’re preservationists at heart, so when we were approached about putting the house on the National Register of Historic Places, we were enthusiastic and appreciative,” says James Napolitan. 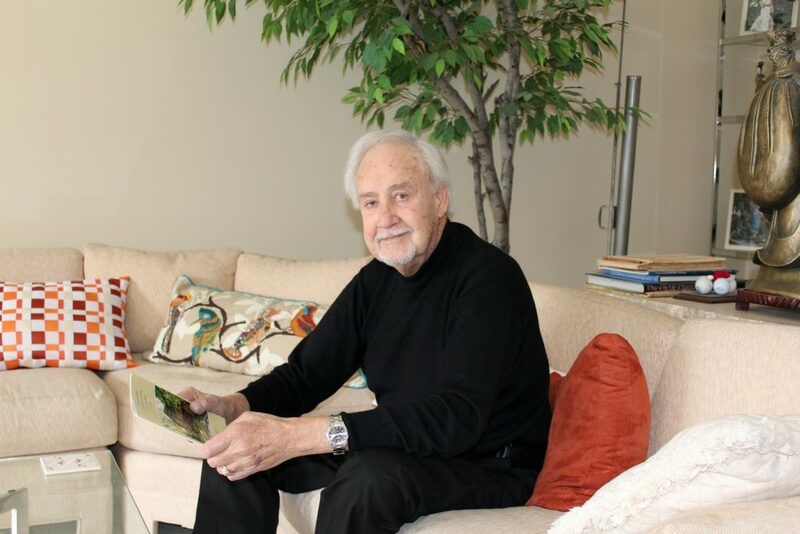 At the opposite end of the state in Evansville, houses, churches, libraries, banks, theaters, and schools share a common denominator: Clifford Shopbell. After moving to Evansville in 1894, Shopbell steadily designed buildings in the popular architectural style of the day until his death in 1939. A native of Princeton, Indiana, Shopbell’s work can be found in his home state, Kentucky, and Illinois. “He was hands-down the most prolific architect in this region in the early twentieth century,” says Evansville Historic Preservation Officer Dennis Au. 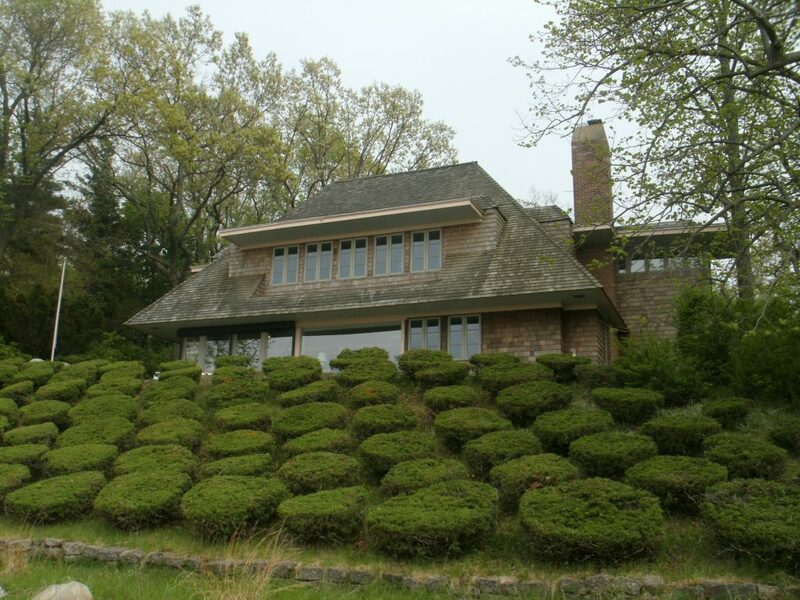 One of Shopbell and Company’s most eye-catching houses is often mistaken for the work of Frank Lloyd Wright. 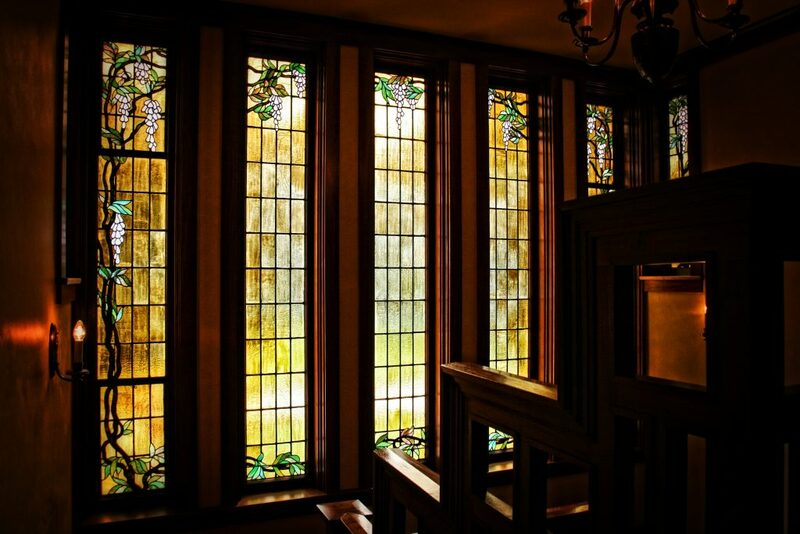 The Michael D. Helfrich house, built in 1920-21 on the city’s west side, displays many of the hallmarks of the Prairie style—horizontal lines, flat roofs, and banks of vertical art glass casement windows. A previously threatened Shopbell and Company gem, the 1918 Municipal Market on First Avenue, seems to have turned the corner. Used as an all-weather farmers’ market for decades, the building later served as a fire station and housed city buses before vacancy and deterioration endangered the site in the ‘90s. Shopbell & Co. designed in the Prairie-style and incorporated Arts and Crafts elements, using rough brick and earth tones inside and out. Advertising and marketing firm Fire & Rain saw the building’s style as an asset and bought it in 2013 for its offices. 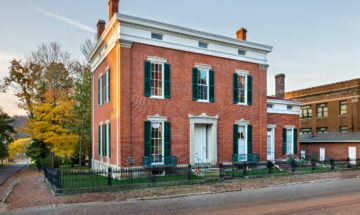 Because we made a loan to a previous owner, Indiana Landmarks holds protective covenants on the building that will help protect its historic integrity in years to come. How does an architect feel when he lives long enough to see his work reach historic landmark status? For Harry Cooler, who began practicing in Indianapolis in 1950, the long perspective presents a mixed picture. Tall, with white hair and a silver goatee, the architect looked younger than his 90 years in 2015. Indiana Landmarks tracked Cooler down in 2009 when we discovered he designed a house on our Mid-Century Modern home tour. 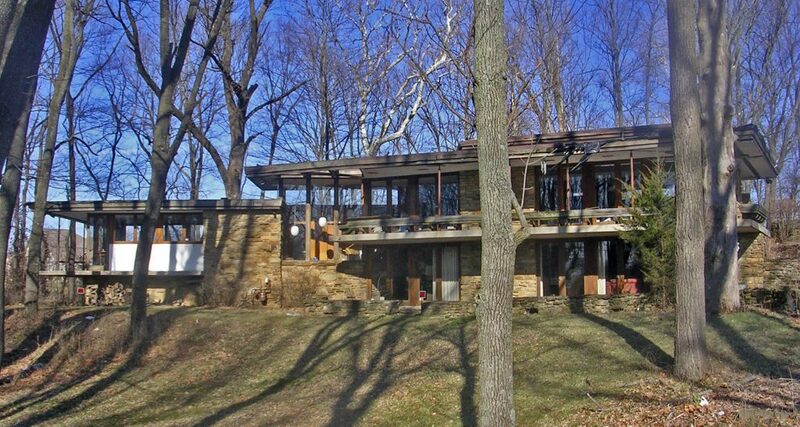 Aware that we were monitoring mid-century buildings worth preserving, he drove through central Indiana tracking the 20 houses he’d designed in the Modernist style. He found that several had been demolished, and some were in disrepair or altered in ways that were unsympathetic to the original aesthetic. In a few happier cases, subsequent owners hired him to design additions to his work. In 2009, the Hastings family drew him out of retirement at age 84 to create an addition to their 1956 house in Indianapolis’s Brendonwood neighborhood using the same Modernist vocabulary. Note: Harry Cooler died on April 1, 2016, a little over a year after being interviewed for this article. During the 1890s, cities and towns within a 90-mile radius of Lafayette saw the construction of handsome houses, churches, theaters, and public buildings designed by J.F. Alexander & Son, one of the Indiana’s most prolific architecture firms at the turn of the twentieth century. Architect James F. Alexander (c.1849-1922) settled in Lafayette about 1872 and began an architectural practice that lasted 45 years and operated branch offices in Peoria and Indianapolis. The office, known after 1892 as J. F. Alexander & Son, included sons William C. and J. Frank Alexander, Jr. Careful attention to proportions and details carried through the firm’s work, regardless of architectural style, bringing a consistently high level of design to projects. Alexander was particularly successful at winning civic and institutional projects through design competitions. 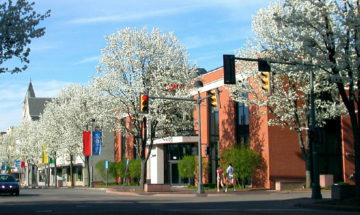 The firm designed the Indiana State Soldiers’ Home (1896), Ball State University’s Administration Building (1899), the Elwood City Building (1899), and the Lafayette Life Building (1919). Many of the firm’s significant works have been lost to demolition, including the 11-story flatiron Indiana Pythian Building in Indianapolis, built in 1907 and flattened in 1967. Appreciation is growing for Alexander-designed landmarks: Indiana State University’s Normal Hall (1910) underwent renovation to serve as the Center for Student Success and University College. The building most popularly associated with Alexander is not, in fact, one of his designs. 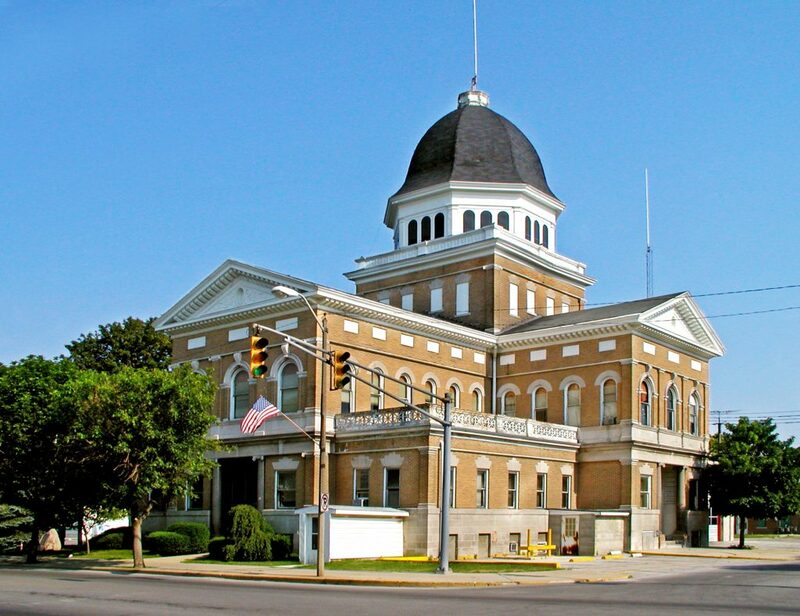 A political fight over the Tippecanoe County Courthouse (1881-1885), designed by Chicago architect O. H. Placey and Lafayette master builder Elias Max, resulted in Max’s dismissal during construction. Alexander supervised the completion of the courthouse using the existing drawings and specifications. Although Alexander never claimed the building as one of his designs, many later publications incorrectly list him as the courthouse’s designer. One distinctive Alexander landmark is on the market: Indiana Landmarks rescued the Fraser & Isham Building (1895) in Fowler and we’re offering it for sale for just $69,900. The Victorian building exudes charm from its turreted brick-and-stone façade to its interior with original woodwork and custom-designed furniture. Interested? Contact Tommy Kleckner, 812-232-4534, tkleckner@indianalandmarks.org.